A Place for All Seasons? When some people think about the Poconos, they think about it as a summer getaway. It’s a place to go to escape the heat and congestion of the city or the suburbs while enjoying the best that nature has to offer. It’s easy to understand why they feel that way. The region offers a ton of fun summer activities that include everything from golf to great waterfalls, and even music festivals. For others, the Pocono mountains are synonymous with winter skiing. After all, the area boasts more than 185 ski slopes and trails to explore. And that’s just the tip of the iceberg when it comes to winter activities in the region. You can take advantage of tobogganing, snowshoeing, snowmobiling, and more. There are also things to do regardless of what time of year you’re there, whether it’s catching a Broadway musical, enjoying fine dining, exploring the area’s rich history, or checking out the action at Mount Airy Casino Resort that includes stage shows, and more than 1,700 slot machines and table games. 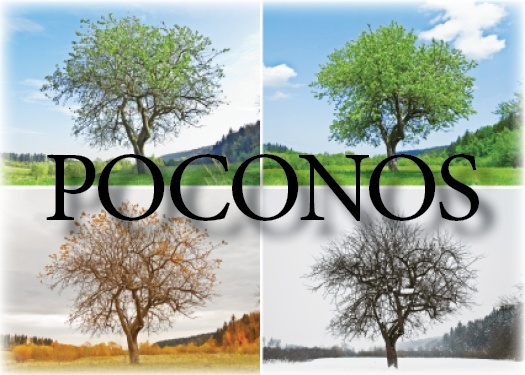 The fact of the matter is that the Poconos really is a place for all seasons. And yet, even with all of the activities available to you, it’s a relaxing place where the pace is a little slower and less frenzied. That’s a big reason why people from the New York, New Jersey, and Philadelphia metro areas have moved to the Poconos permanently. With all the the things to do here all year long—why leave? And on those occasions when you want or need to get to the city, it’s just not that far away. Of course there’s more to great Poconos living than simply scenery and outdoor activities. You’ll want to have a quality home that’s built with comfort and convenience in mind. Liberty Homes offers more than a dozen great floor plans in a wide variety of styles and sizes: whether you’re looking for single-level living or a two-story home. And you can choose where you want to live—either in one of our great Poconos communities, or on property of your own choosing. If you’re looking for a place where fun and quality living are always in season, check out life in the Poconos. It’s not just for vacation anymore!